If you have read the Golden Sower nominees for this year, we would greatly appreciate ANY questions you would like to contribute for the 2018 Golden Sower/Read to Succeed Competition! We ask that questions be put in the "In what book...." format and include the page number for each question. GATE facilitators have been asked to turn in 20 - 30 "In What Book" Questions and 10 - 15 short answer per book. ANY additional questions on ANY book, in either format, would be welcome! If you would like to submit questions, please send to Jean Janssen, GATE Secretary. They are asking for all questions to be submitted by Winter Break. Understanding colonial society in the early 17th century, just in time for Thanksgiving! 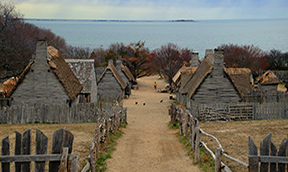 In 1620, the Pilgrims traveled from England to Cape Cod. They went on a 66-day journey where they faced exposure, disease, and death in an unfamiliar land. Watch and learn from this collection of reenactments and expert interviews. Who Do You Follow on Facebook? 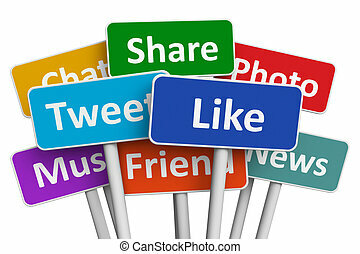 Thank you to the librarians who responded to the question posed by one of your colleagues: "Who do You Follow on Social Media?" In navigating the digital age, we all must become information gatekeepers of the content we curate in the virtual world. Now, more than ever, it's imperative that we develop responsible information literacy habits and critical consumption of media, facts and sources and cultivate those same habits in our learners. The Question Formulation Technique (QFT), developed by the Right Question Institute, is a simple, yet powerful, strategy that motivates students to question information, evidence and assumptions to build greater empathy, deeper engagement and informed arguments. More than 250,000 educators around the world are integrating the QFT into diverse classroom and library settings. Join us for a one-hour webinar to learn how to use the QFT to tap into students’ natural curiosity and to promote critical analysis, research and information literacy. John Sessler holds an Ed.M. from the Harvard Graduate School of Education. An experienced educator and curriculum designer, John currently works as a consultant for organizations such as PBS, The Right Question Institute and The Children’s Theatre Company. For many users, conducting research is similar to navigating an obstacle course. From knowing where to start their research, to navigating search results, and then finding the right content–these challenges may impede successful research outcomes and potentially undermine your library’s mission. This webinar will focus on tools that knock down these challenges to create better visibility of the library’s collections, refine authentication, improve search, and provide ways to access the collections.